in the grounds of Windsor Castle on 2nd March 2012. 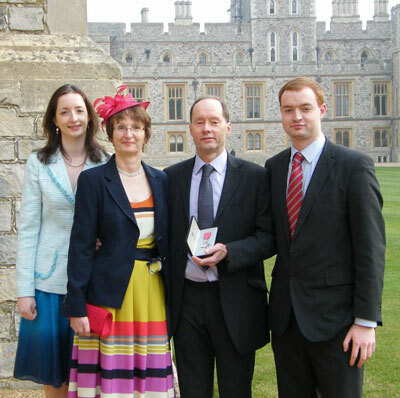 In the 2012 New Year honours list, John Huddleston, lately Knowledge Leader and Project Director, AEA Technology, was awarded the MBE “for services to the Environment”. He received the award from the Queen on 2nd March 2012.